The extraordinary significance of the painter and sculptor Henri Matisse in the history of modern art, but also his influence, was no less decisive than that of his main rival, Pablo Picasso. 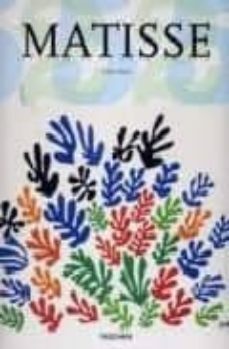 In fact, Matisse's stylistic liberation actually goes one step further in the pursuit of his own personal goal - the perfect synthesis of line and color - by which he sought revolutionary approaches to the great tradition of French painting by drawing upon its classical aspects. For those who wish to know more about this lodestar of modern art and follow the adventurous path of his creative career, this publication is surely the most comprehensive and informative source available.Lavishly illustrated, its authoritative commentaries trace the artist's search for balance, purity and serenity, from the chromatic brilliance of his Fauve period, through his travels, the Orient, geometric synthesis (it was he who introduced Picasso to African art by giving him his first mask), and the odalisques to the final triumph when, at the age of eighty, he invented his gouache cut-outs that culminated in his illustrations for Jazz and allowed him to achieve his goal of sculpting in paint just as a sculptor works in stone. Matisse is widely acknowledged as an artist whose canvases are extremely difficult to reproduce in print. With this in mind, each work presented here has been painstakingly compared with the respective original, in close collaboration with the artist's grandson, Claude Duthuit. The bard of color deserves no less.